I've recently completed a new Sefer Torah and will be holding the siyyum in early June. At the request of the shul I've left quite a large number of letters open so that "as many as wish to may participate in the mitzvah." My concern is that given the large number of people called up, many, perhaps most of whom I will not know, that among these individuals could be invitees who are not shomer mitzvos, or perhaps even halachically Jewish. Does anyone have a politic way of allowing people to 'participate' in the filling of the letters without running the risk of rendering a year and a half of work posul? Also, what would be the correct course of action if it did come to my attention that one or more letters had been written by someone who is posul for writing, but after the fact I had no way of knowing which ones? Would it be permissible to use an ink for the siyyum, dyo l'netzach for example, which before it has fully cured can be peeled off the klaf, and so simply remove the filled in letters and re-write them myself later? The Yeriat Shlomo, I believe Vol 1 Chapter 1 (I will check when I get a chance) says to erase the letters after and re-write them. If the Rav of the Shul doesn't already know the halakhot, talk him through on them so that he understands. A difficult area R. Benyomin. The Biur Hasofer explains that when when there is a siyyum it is the custom for the scribe to leave letters by completion by honoured members of the congregation and it is imperative that those who are chosen are valid for the task. Kol Sofrim (2:5) writes that the scribes who leave such letters must be careful that no profaners of the Sabbath or betrayers or other invalid people write and that if one can’t be sure then it is better to abandon the custom. However practically that isn't really an option and so forming the letter in outline means is not a completion of the letter form but could be classed as a correction which would be acceptable after the event even for these invalid categories. 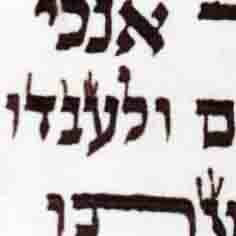 Technically if the letter forms are in outline and the outline is not broken (with the exception of a yud which would therefore resemble a small samech) then the letter is technically kasher and so one could argue that the act of filling them is not changing the halachic status of the letter at all (merely 'beautifying' them) and thus it does not pasul the work. If you are still concerned, you could do the actual writing whilst allowing the congregant to hold onto your writing arm which I often do. 1. I know a very reputable sofer who uses for the siyum the ink which can be easily peeled off before it cures. After the siyum he peels off all the letters and re-writes them. Option 2: Have the Rav give a drasha on how to do Brit-milah. The father hands over the knife to the Mohel and makes him the Shaliach. No father in his right mind will want to do the Milah himself without being trained as a mohel. The same applies to writing letters in a sefer Torah. The guest hands over the kulmus to the sofer and makes him his Shaliach. #2 is a cute analogy, but the mitziyus demonsrates that people are not hesitant to write a letter in a sefer torah. Any mistake can be painlessly corrected. Not so when performing a milah. I have, in fact, done this very thing. I prefer to have the honoree hand me the quill, and stand next to me while I fill in the letters. In my experience, if a particular individual is not singled out, but all do the same, there are no objections. 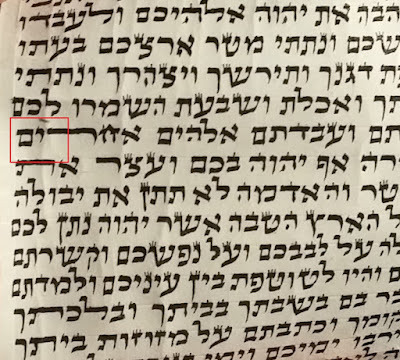 Although erasing the letters is certainly better than having a possul sefer Torah, it is still an inyan of "Midvar sheker tirchak". Let people participate by holding the feather and passing it back to you, making you a shliach. 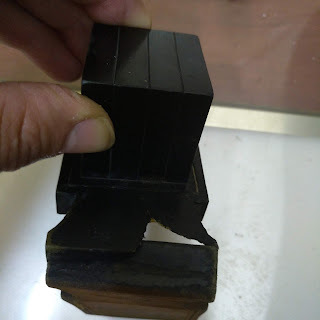 Reading everyone's comments I would very much favour the shlaliach piece whether that is passing the kulmus or holding the arm rather than this idea of peeling the ink. People participating believe that they are participating in a special mitsvah which brings them closer to Torah and the sofer would in effect be 'stealing' this from them after the event including those who are shomrey mitsvot. Ideally, I don’t let anyone (except the person who paid for the Sefer) do any actual writing. Instead, the “honoree” sits next to me and makes me a sheli’ach to write “their” letter for them. If the owner of the Sefer insists that other people be given the opportunity to write, I insist that the publicity for the siyum include instructions that anyone who wants to write their own letter must go to the mikva that morning. It is not a failsafe, but it tends to weed out most of the non-eligible candidates.